Friday at the Track (FATT) is an introduction to high speed driving. 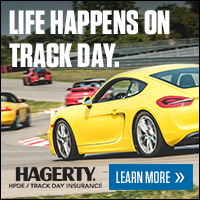 It is an instructional event where you can bring your street car out for a day at the track. You receive classroom instruction, skid pad instruction in our cars (including front and rear skid management), and four sessions of in-car instruction in your own car. It is a chance to go fast and have fun in a controlled environment. This event is held on the Jefferson Circuit. The Jefferson Circuit is a seven-turn, 1.12-mile (1.80 km) road course that was designed and built by Bill Scott as a dedicated course for high-performance, accident avoidance and emergency operation driver training. Opened in 1996, and expanded in 2014 to a 1.7 mile road course, the Jefferson Circuit demands constant attentiveness and smooth inputs from drivers. Pre-Registration is recommended for this event. No guarantee of available space on day of event.